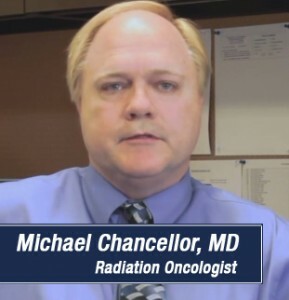 Dr. Michael Chancellor is a dedicated radiation oncologist working toward a cure for prostate cancer. Those who turn to him for prostate cancer treatment at his practice in central Florida receive exceptional care. He has been in the medical profession for many years. His prior experience in other medical specializations gives him a unique perspective in the field of urology and benefits his patients. Like fine wine, Dr. Chancellor’s talent, expertise and passion for medical innovation have been refined and become more potent over time. He started with an awareness that he wanted to help others obtain optimal health. Upon graduating from medical school, Dr. Chancellor began working in general internal medicine. His purpose was to to help as many people as he possibly could, a passion that would one day make him one of the best radiation oncologists in Florida. After many years of dedicated practice in internal medicine, Dr. Chancellor realized that a generalist attempting to make a difference in the treatment of many illnesses might be limited in his ability to achieve significant progress in the cure for any one serious condition. Although he did succeed in helping most patients feel better, he felt that finding a breakthrough in the treatment of one illness would have a long lasting impact on the health of more individuals than he could personally see in a lifetime. It was at this time that innovative technology truly caught his attention. 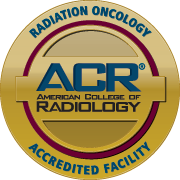 Intrigued by the technological advancements that were being made in the fields of medical research and procedures, he decided to change the focus of his career with a move from internal medicine to radiation oncology, which he continued for over 25 years. Having found that narrowing his focus allowed him to make a more precise and powerful impact, Dr. Chancellor decided to narrow his focus even more and became a specialist in treating prostate cancer. He loves the fact that being a specialist has allowed him to gain a level of expertise that he could not have achieved otherwise. Finding the right team of skilled medical professionals makes a significant difference in outcome for patients. Those who seek medical care from highly skilled and knowledgeable urologists like Dr. Chancellor, a physician devoted to finding a cure for prostate cancer, can find that expert care by contacting Advanced Prostate Cancer Institute in Florida.